All the trappings are in place for a big, smashing theatrical hit – a cast of able actors, a script by a Pulitzer Prize-winner, a reliable director, a title long enough to take up four or five lines on a theater marquee. So what has happened with Shipwrecked!, the wan little 2007 comedy onstage at Mad Cow Theatre through next weekend? Maybe it was the weather, the billowing rainstorms that kept people off the streets of downtown Orlando. Maybe it was the Thursday-night audience, a tiny turnout of steadfast folk who didn’t laugh often enough or loud enough to feed a needy cast. Or maybe it’s a production with just enough missteps to throw this mild-mannered little show off its track. Tagged donald margulies, mad cow theatre, shipwrecked! 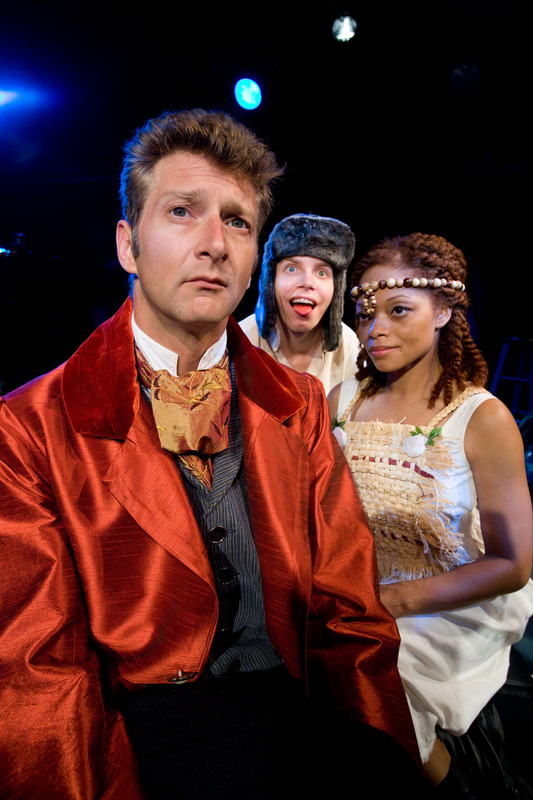 A play about William Shakespeare, Bill Cain’s Equivocation, has won the 2009 Steinberg/American Theatre Critics Association New Play Award, an annual prize that recognizes the best play produced in the U.S. outside New York City the previous year. Cain will get a prize of $25,000. Two other playwrights, Donald Margulies and Karen Zacarias, won $7,500 citations in the annual contest — Margulies for Time Stands Still and Zacarias for Legacy of Light.